Gurudev, where does one seek the do’s and don'ts on karma? You should listen to your own conscience, your inner gut feeling. Don’t do anything which you don’t want others to do to you. That is the criteria. We should do that which brings long term benefit, even if it is at the cost of some short term unpleasant situations. We should not do that which gives short term pleasure but problems in the long run. This is the criteria for karma. 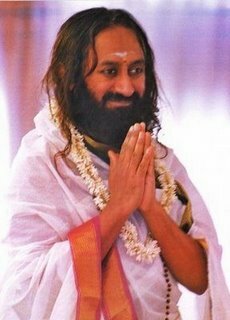 Gurudev, what thoughts come to your mind when another spiritual leader comes and conducts himself or herself in a disrespectful manner, or gets caught in a disgraceful act? Compassion and wonder. First of all you wonder how a person with knowledge can do something like that. You know, someone who owns a jewellery shop will not go and steal a few pennies worth of vegetables, or a kilo of bananas or apples. If someone does that you can only wonder, and on the other side feel compassionate. There must be some deep rooted ignorance and you can only be compassionate about the ignorance. There is no point in getting angry at them. It is not going to help anybody. This man who was climbing has slipped. He has succumbed to his base cravings or aversions. And if they are genuine, they will take punishment on their own. That is called prayaschit (to atone for ones sin). When someone has done a mistake and they realize it, they should punish themselves and not wait for others to punish them. And if they don’t fall into one of these, they shouldn’t even be considered as spiritual leaders. They are misusing the spiritual field for their own selfish gains. Gurudev, I love spiritual practices and the atmosphere. It makes me feel balanced and fulfilled to be around spiritually evolved people and their activities. Is it possible to make a career out of spiritual practices? If yes, what would you advise me? You know, spiritual practices cannot be made into a career but The Art of Living does provide many opportunities. We have many schools, institutions, universities and we have an employment exchange bureau. So you are most welcome to come and register with us because the country needs talent, and people with a spiritual bent are welcomed everywhere. So there are many opportunities. Gurudev, what kind of questions from people make you uncomfortable? So far I don’t even remember anybody asking me any uncomfortable question. I don’t feel uncomfortable with anybody whatsoever. Not until now. I don’t know about the future. 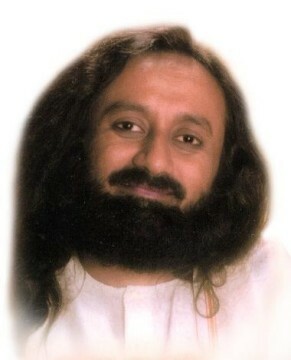 Gurudev, you give comfort to so many in distress and fear. What were the biggest moments of stress and anxiety that you have been through in your life? I can't relate to anxiety but there have been many points of stress. We were involved during the tsunami time and we travelled 48 hours continuously. Those days were very stressful. Also, when I was travelling in Iraq there were bombs in the front and at the back. I went into the red zone. I was not anxious of course, but I made people around me anxious. I knew that all will be well with us. The Government insisted that we should not go into the red zone but I insisted on going and meeting with the tribal people. They gave us 12 vehicles including 2 tankers for my security. A distance which would take normally half an hour took us two hours. So I have experienced travelling in war zones, but I was not anxious. Long back I also travelled to many places in Kashmir when it was in the grip of militancy. I travelled to Sri Lanka but my trip there was a disappointment for me. I went to Sri Lanka because I wanted to make peace. I spoke to the Sri Lankan President and I also wanted to speak to Prabhakaran. I wanted to tell him not to go for war and to come to the negotiation table but he did not meet me, so that was a little disappointing. I stayed for a day in Kilinochchi. I could see that eighty thousand people will be destroyed if this one man’s ego is not pulled down. If he had come to the negotiating table the war in Sri Lanka could have been averted. Of course, people under him were also desperate. They said, 'Gurudev please meet with our leader. His mind will change if he meets with you', but that man refused to meet. He said he will not meet with spiritual leaders. Again when there were problems happening between North Korea and South Korea, there was some effort made to meet with the new President. He was a young President in his late twenties. We were told that he was surrounded by the mafia and the mafia wouldn’t let us have access to the President. So even though we came close it then fizzled out. These things happen but I am not disturbed by these things. 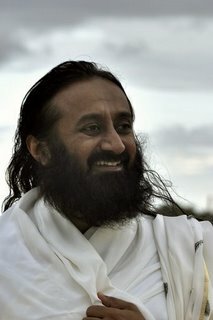 Gurudev, I am 30 years old and honestly I still don’t know what I want from my life. How do I figure out what I truly want from my life? You know, you should shift this 'What I want from my life' to 'What people around want',or 'What the nation wants'. If you make this change from 'What I want' to 'What is needed of me', you will find fulfillment. When you think, 'What can I do to better the nation, and better the society', you will not find yourself empty, and The Art of Living has many projects. Just call one of our volunteers and they will take you along with them. You will see the amount of joy and celebration there is when you are actively involved in some social project. You can’t buy that type of happiness anywhere. Gurudev, how do we manage stress and anxiety? Keep smiling as you are doing now. Don’t hold on to stress and anxiety. If you don’t hold on to it, then there is no question of managing it. What is a Guru and ashram for? Leave all your anxieties, pray, have faith and move on.If you have the faith, you will reap the fruits. Do you know in Bangalore city, some people have the faith that on Sunday, if they come to the ashram and eat the holy food here, their stomach and other illnesses get cured? They have the faith and this faith gives them the desired result. Maybe the people who work here have stomach pains and take medicines, but people from outside who come with this faith on Sundays, get cured totally. This is the experience of a lot of people.